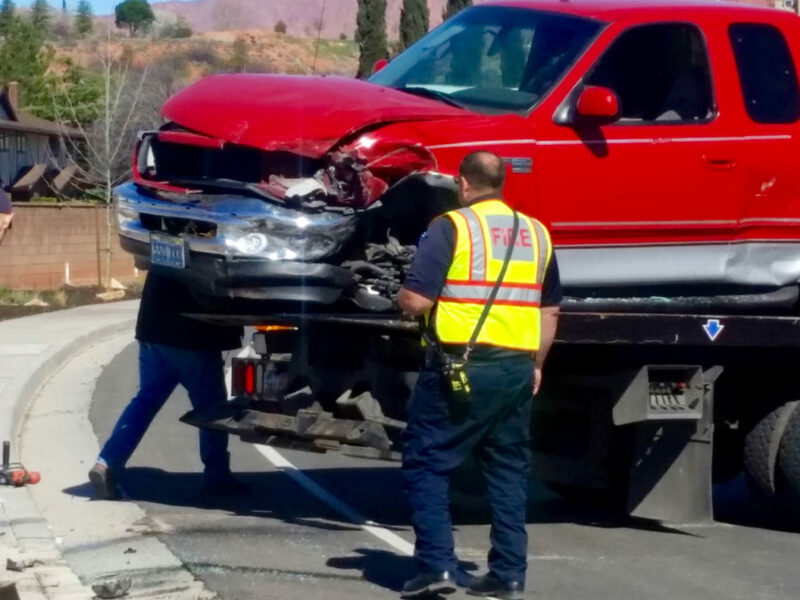 SANTA CLARA – Two vehicles collided on a curve in Santa Clara Monday morning, leaving both drivers injured and an SUV and a pickup truck heavily damaged. 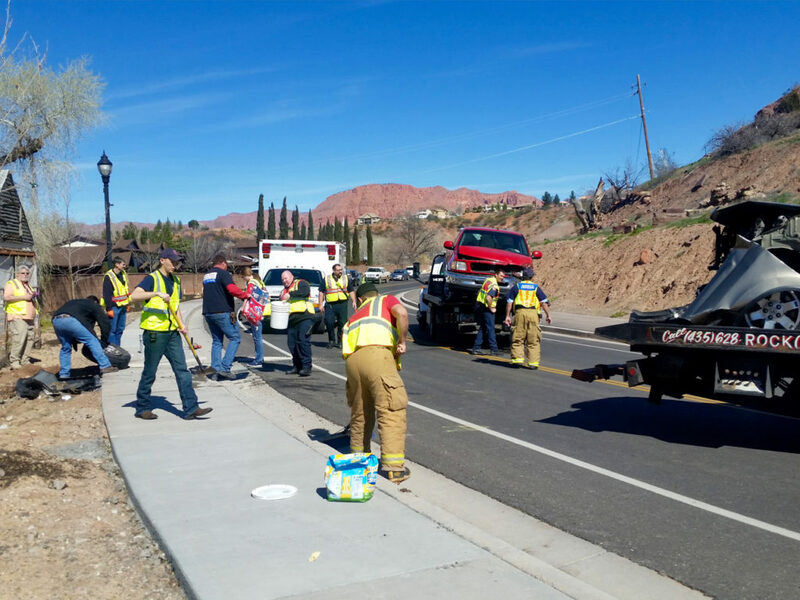 The crash occurred at approximately 10:30 a.m. around the area of 3360 W. Santa Clara Drive between the Jacob Hamblin Home and Swiss Village where the road begins to curve north. 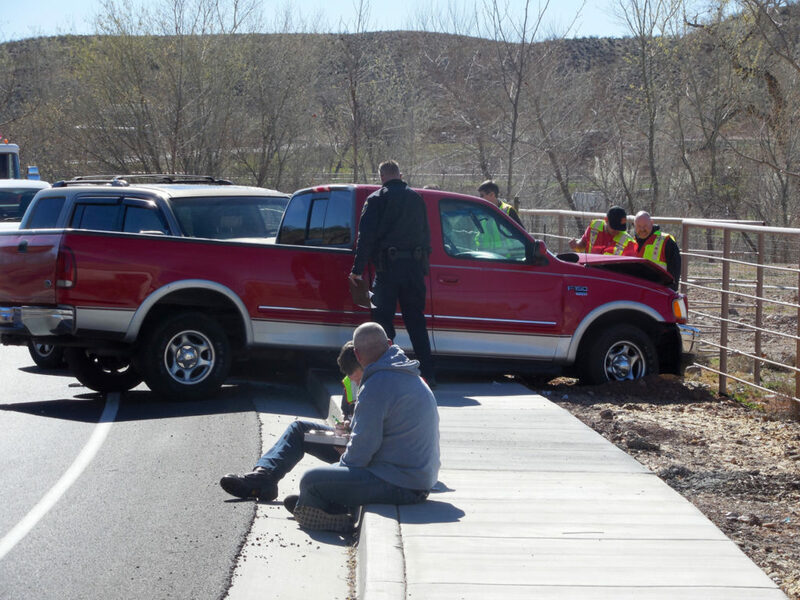 The incident involved a red Ford F-150 pickup truck driven by a man in his 40s and a tan Honda Pilot driven by a woman in her 60s, Santa Clara-Ivins Police Officer Randy Hancey said. Preliminary investigation revealed that the Honda appeared to have been heading west before the crash; however, the force of the impact pushed both vehicles up and over a curb and onto the sidewalk on the south side of the road. 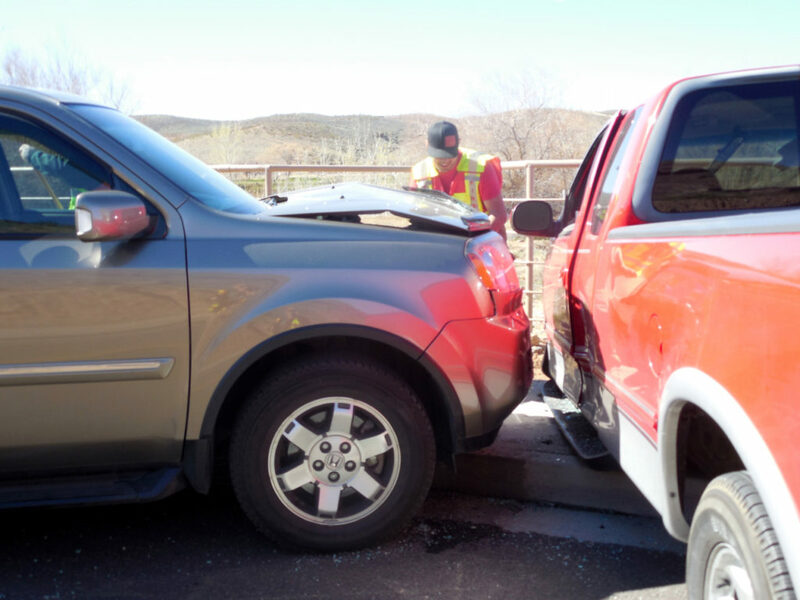 “It appears at this point that the female driver (of the Honda) struck the red vehicle,” Hancey said. The Ford ended up straddling the sidewalk with its front wheels resting in dirt and the front passenger wheel and tire completely detached and wedged underneath the Honda. 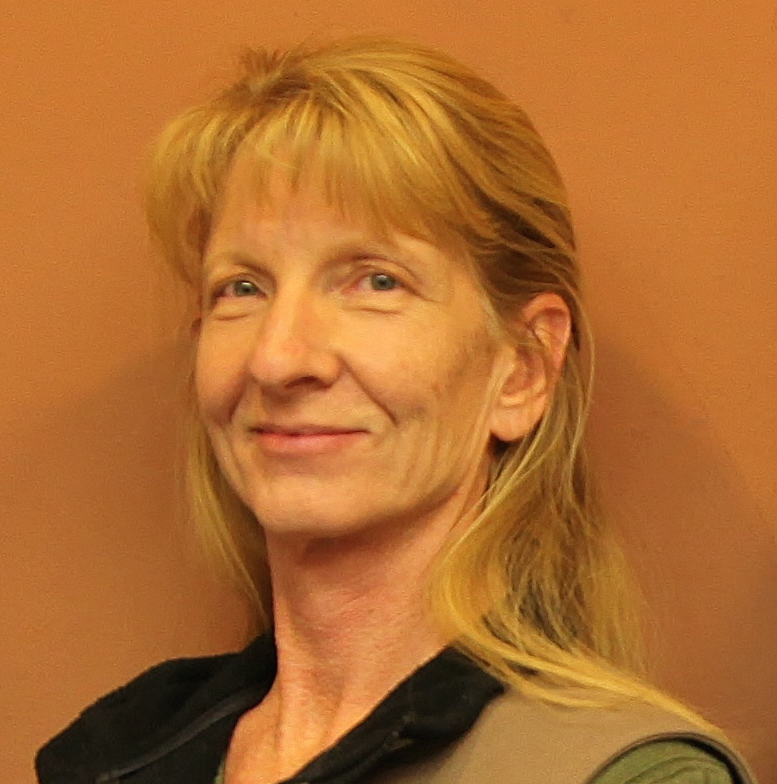 “It appears that the SUV crossed over the center line,” Hancey said. 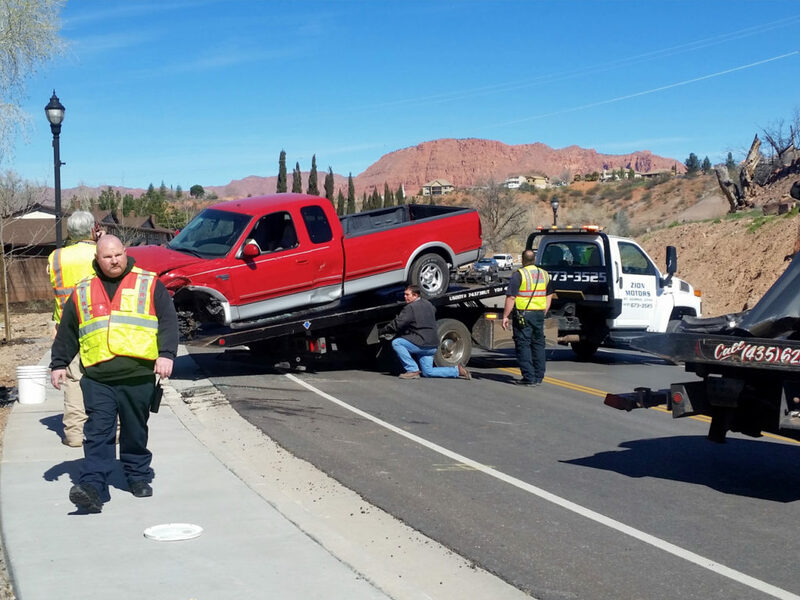 Both drivers were injured and taken by ambulance to Dixie Regional Medical Center. 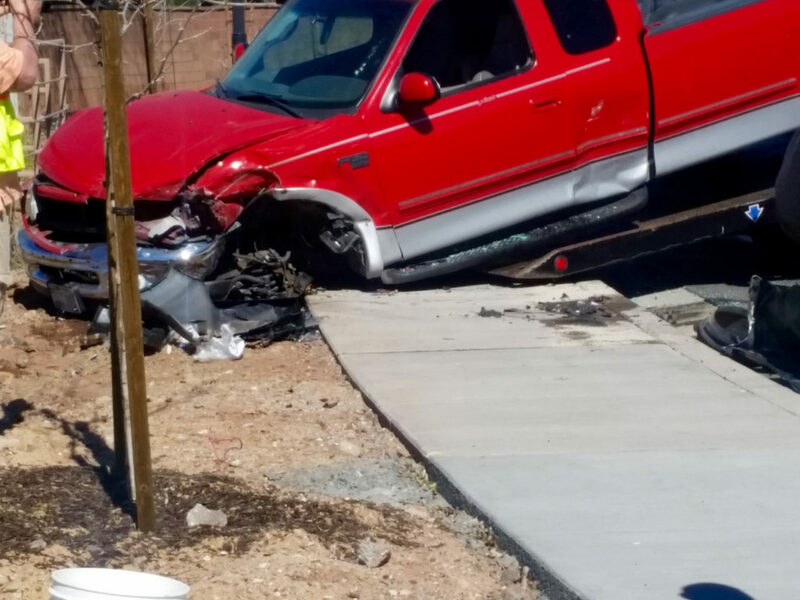 Hancey said the woman received minor injuries; the driver of the Ford was evaluated at the scene before also being transported to the hospital. The crash is still under investigation, Hancey said. 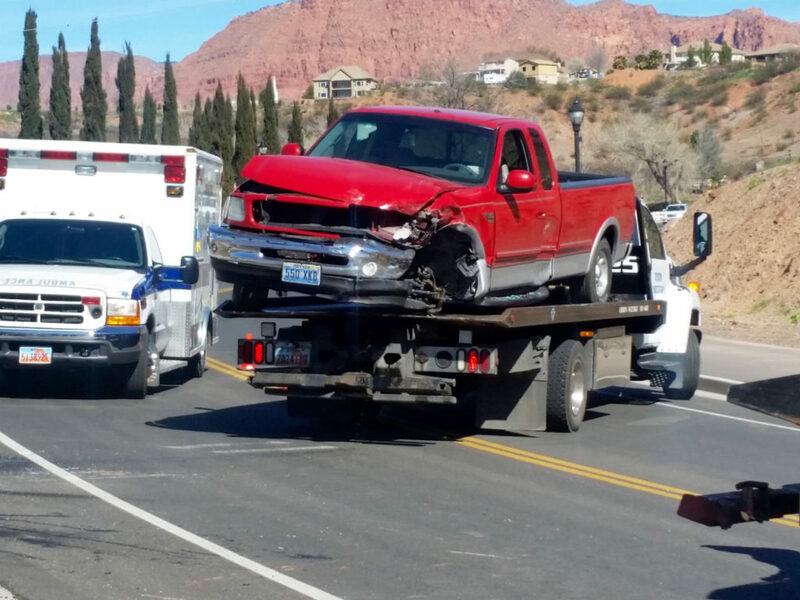 It is possible that speed was a factor, he said, but that has not been determined, and no citations had been issued at the time of this report. The speed limit is 30 mph where the crash occurred and changes to 40 mph west of the crash site. 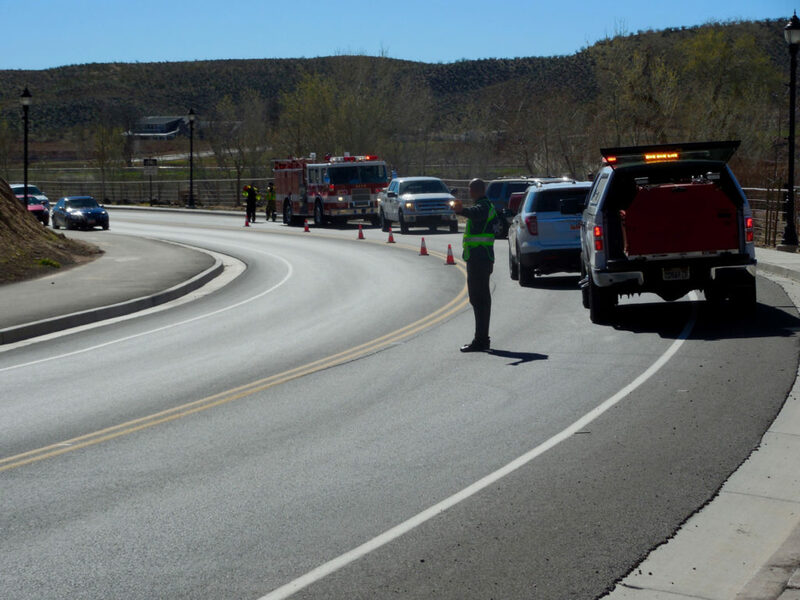 Traffic was reduced to one lane during the accident cleanup. 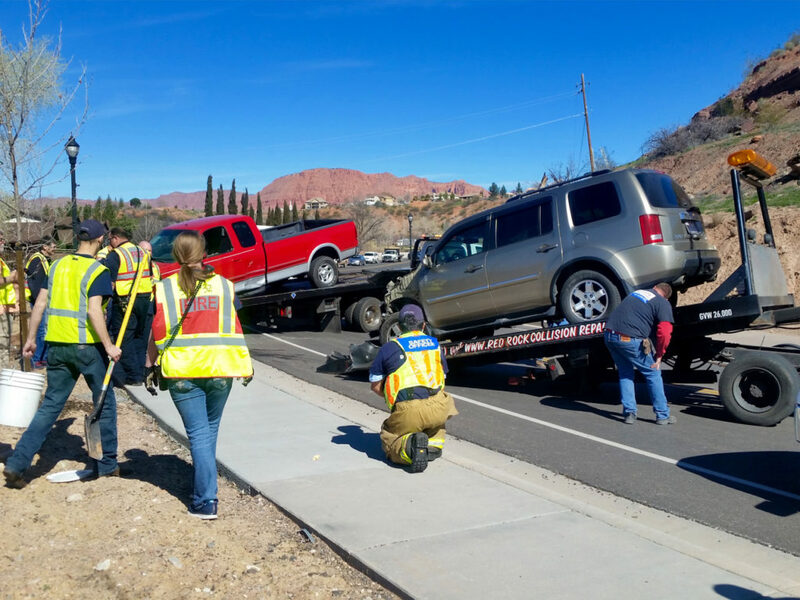 Traffic in both directions was closed briefly while both vehicles were loaded onto tow trucks. 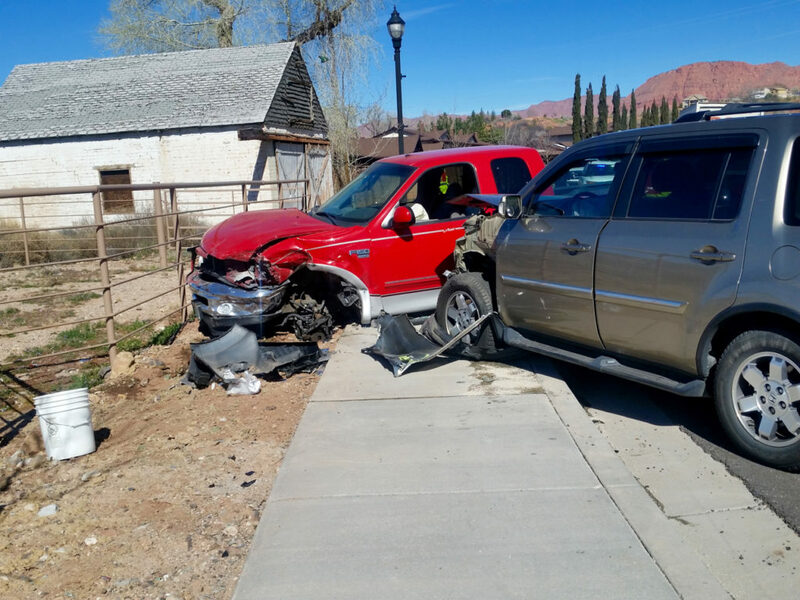 Airbags in both vehicles deployed, and both appeared heavily damaged. 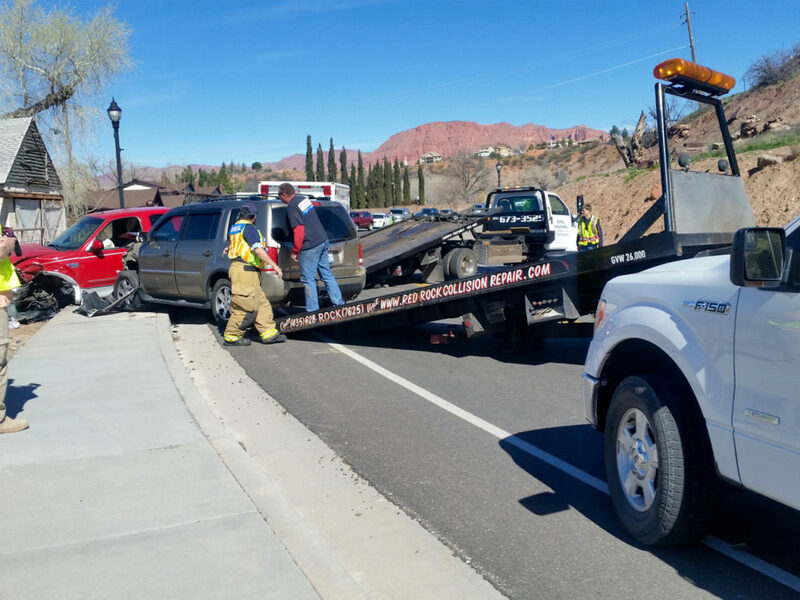 Santa Clara-Ivins Police Department, Santa Clara Fire Department and Gold Cross Ambulance responded to the incident. Need to subpoena cell phone records, easy to find out if anyone was distracted, then sue….Boy, just wait until those 2,000 more homes are built in Santa Clara! 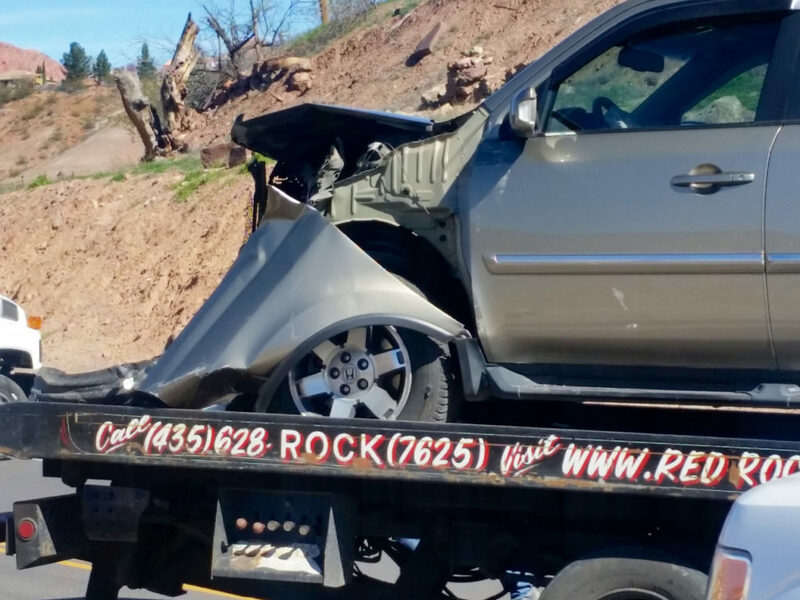 ….Tow truck drivers will be making the Big Bucks!